Internet Explorer, the world’s most popular web browser, are at risk of having their computers hijacked because of a security flaw.The flaw allows criminal gangs to take control of people’s computers and steal their personal information when they visit websites that have been corrupted by malicious hackers.It is believed that as many 10,000 sites across the globe have been compromised since last week. Microsoft said that it had detected attacks on machines using Internet Explorer 7, the most widely-used version of the browser, but that other versions are “potentially vulnerable”. 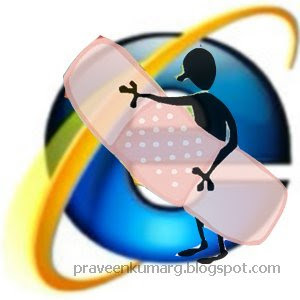 Download the Internet Explorer security patch from the below link and install it to your computer as soon as possible.